All-day neighbourhood café located on Cockburn Street, just off the Royal Mile in the heart of Edinburgh’s old town. We serve a wide range of speciality coffees, teas, juices and alcoholic beverages. Light breakfast options are available. 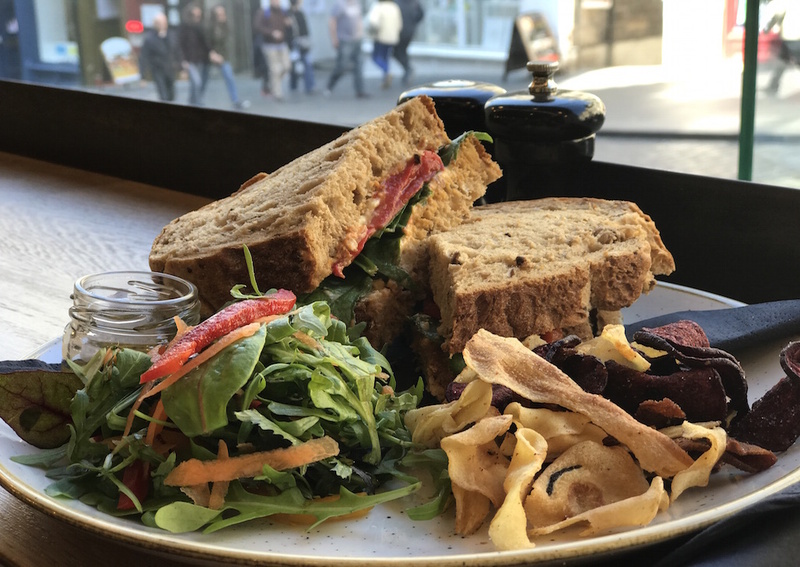 Tasty wholesome soup and a selection of delicious sandwiches are served daily at lunchtime. Treat yourself to a scrumptious cake washed down with the perfect cuppa! Welcome to the Edinburgh Press Club, our new café is now open. You can find us on Cockburn Street, in the Old Town, Edinburgh, just off the Royal Mile and a few minutes walk from Waverley Rail Station. 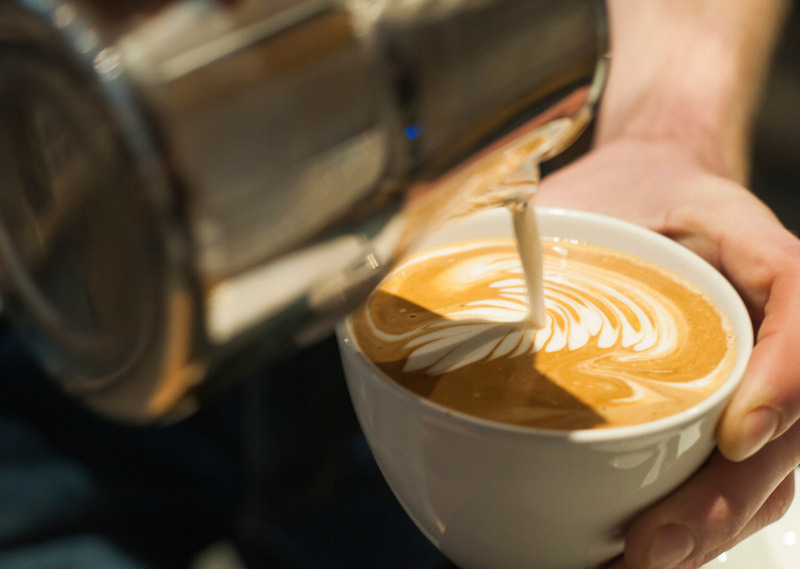 The Edinburgh Press Club partner with local suppliers to offer a range speciality coffees and teas which are freshly prepared to order from 8am – 6pm daily. 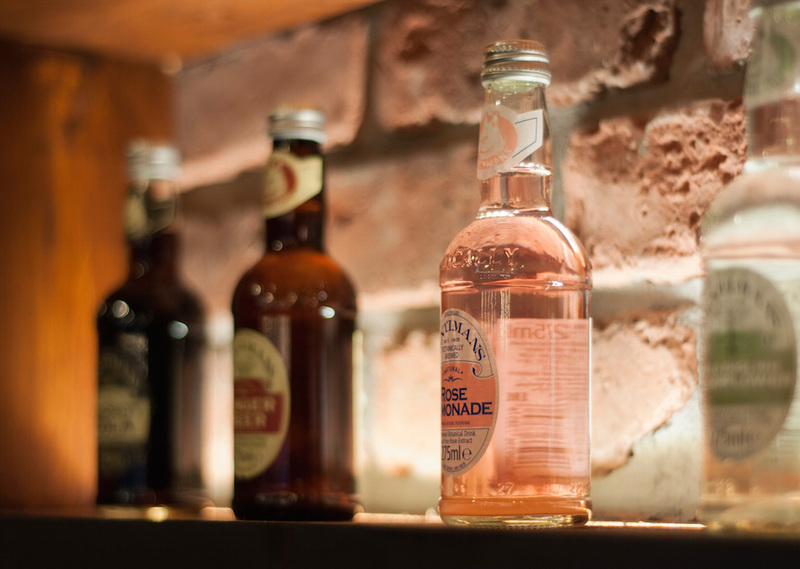 A choice of bottled soft drinks, juices and water are available and a small variety of alcoholic beverages including wine quarter bottles (70cl), Prosecco, bottled beer and cider. “What’s your gin o’clock?” we offer a small selection of gins and we are here to serve you at a time that suits you! We also serve light breakfast each morning try our ‘groovy granola’ the best way to start your day! Daily lunch specials include wholesome soup, freshly prepared sandwiches. Homemade cakes and caramel shortcake are the perfect tasty treats washed down with a freshly brewed cuppa. We invite you to check our cabinet or ask our staff for daily availability of these fresh bakes. We may replace flavours and fillings, humble apologies if we run out! The Edinburgh Press Club is a coffee bar with a difference. The building is steeped in history dating back to the 1800s when it was purpose-built as an office and printing works for ‘The Scotsman’ newspaper. Advertising and publishing offices were situated on the ground floor and this is where the Edinburgh Press Club is located today.